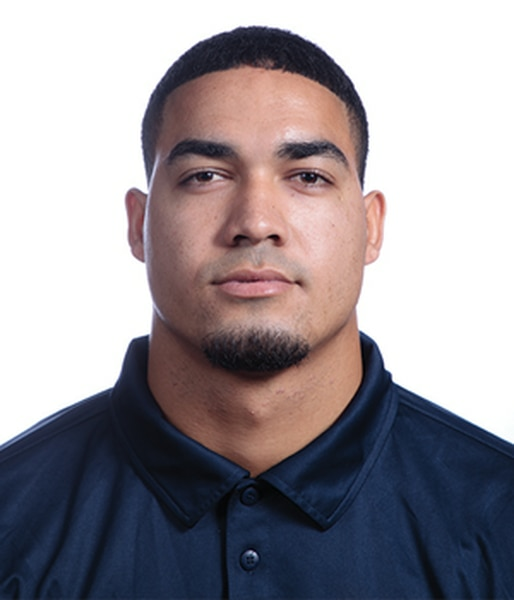 (Dixie State University) Dixie State University football player Abraham Reinhardt, 23, died Friday, March 22, 2019. Dixie State University on Saturday mourned the sudden death of student and redshirt football player Abraham Reinhardt. According to FOX 13, Reinhardt died Friday evening at Dixie Regional Medical Center. He was 23. Dixie State University Associate Athletic Director Steve Johnson said on Tuesday, the team was doing drills, and they weren’t wearing pads because they weren’t allowed to make contact with one another. But Reinhardt injured his upper leg, and the injury kept him off the field for the remainder of practice, Johnson says. That night, Reinhardt was taken to a hospital, Johnson says, where he died later in the week. Dixie State University will host a candlelight vigil in Reinhardt’s honor Monday at 8 p.m. in front of the Clock Tower on campus. For more information, visit FOX 13.com.